Choose your best combination from over 100 different Plugs and Sockets, as well as over 100 different cable types. A large storage capacity allows a rapidmanufacturing in Karlsruhe! 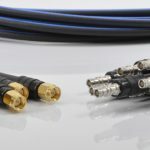 You can use our interactive cable configurator based on images and associated information – order online and the cable can be with you the next day!